Features: These sign boards are manufactured ensuring brightness and are available at industry leading prices. Packaging Type: Tharmacol/ Gatta cover/ PVC and Plastic strip. With Covering wooden. We have carved a niche amongst the most trusted names in this business, engaged in offering comprehensive range of Copper Letter. In order to keep pace with the never-ending demands of customers, we are involved in offering a wide range of Copper Letter. We have an eminent name for offering a vast array of Copper Name Letter. This product is manufactured using only quality tested materials. 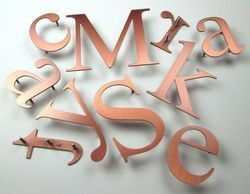 Backed by our team of seasoned professionals, we are offering an impeccable range of 3D Copper Letter Signage. From our wide consignment, we are affianced in supplying Copper Letters. Our presented series of Copper Letter Sign Board is enormously demanded in the market. 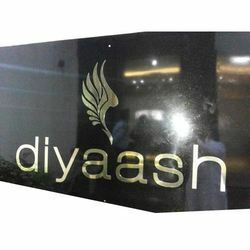 Being a leading and acclaimed business organization, we are exquisitely immersed in presenting to our customers a top class assortment of Copper Letters.